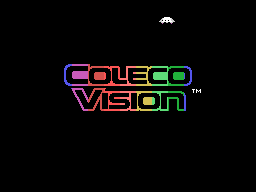 The arcade hit that built the foundation for the video game industry has returned, this time on your ColecoVision game system. 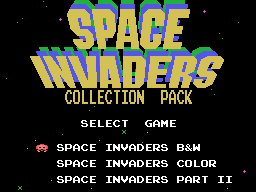 Space Invaders Collection offers twice the bang for your buck with two faithful arcade conversions. 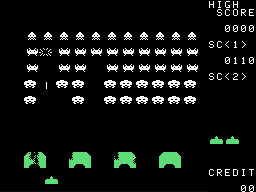 Challenge an army of unrelenting aliens in the original Space Invaders, then test your skills against a more cunning force in the exciting sequel, Space Invaders Part II. Both games feature a wide variety of options, selectable through an attractive, easy to use menu unlike anything you've seen on the ColecoVision. The aliens have returned... but with Space Invaders Collection, you're ready to fight back! 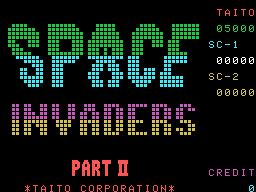 Featuring 2 arcade classics: Space Invaders and Space Invaders Part II. Select between Japanese and U.S. versions. Several screen types... play it as you remember. 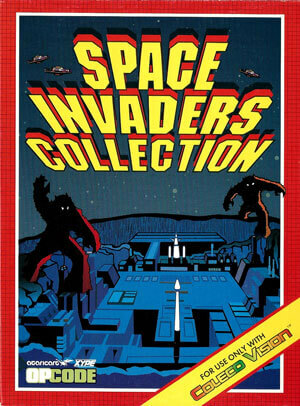 Space Invaders Collection includes an offset printed box, manual and label.